If you are planning to file for divorce in the Tampa Bay area and have minor children with your spouse, it is important to learn more about child support guidelines and calculations for child support under Florida law (Fla. Stat. § 61.30). When determining child support, courts in Florida rely on guidelines so that child support obligations are streamlined across families, but this does not mean that one parent is responsible for the child support obligation. Rather, Florida uses what is known as an “income shares” model, which requires both parents to contribute to the child support obligation. We will say more about how child support is calculated in Florida, and how each parent’s child support obligation is determined. What is the “Income Shares” Model? Different states have different laws concerning the calculation of child support and the determination of how parents contribute to that obligation. 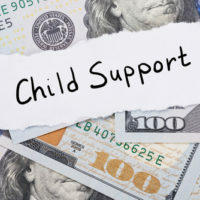 Some states use a model known as the “percentage of obligor’s income,” in which only a noncustodial parent’s income is taken into account, and the noncustodial parent provides a child support payment to the custodial parent. To be clear, this is not the model that Florida uses. Rather, in any child support case arising out of divorce or any other family law matter, Florida courts use the “income shares” model. With the income shares model for child support, courts begin from the premise that both parents are—and should continue—contributing to a financial child support obligation. Rather than saying that only the noncustodial parent pays child support, the court looks at both parents’ incomes to determine the total child support obligation. This part of the calculation is what is streamlined, and it is also where the guidelines come into play. The court takes the combined parents’ income to determine the total child support obligation. However, this does not mean that both parents contribute equally to the child support obligation. Instead, the court looks at a number of different factors, including, for example, each parent’s income and the amount of additional expenses each parent pays for the child’s healthcare expenses and educational expenses. Spousal support (either from a previous marriage or the current marriage). Once the court has a combined monthly net income, it turns to the table. The table lists a combined monthly net income, followed by the appropriate child support obligation depending upon whether the support obligation is for one, two, three, four five, or six children. For example, a combined monthly net income of $800.00 should result in a child support obligation of $190.00 per month for one child, or $211.00 per month for two children. To compare, a monthly net income of $10,000 should result in a child support obligation of $1,437.00 per month for one child, $2,228.00 per month for two children, and $2,795.00 per month for three children, for example. If you have questions about divorce and child support obligations, you should speak with a Tampa family law attorney as soon as you can. Contact Bubley & Bubley, P.A. to learn more about how we can assist you.